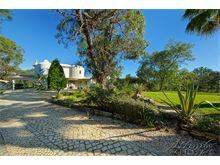 This substantial property is set in beautiful grounds and offers complete privacy in one of the most picturesque parts of the Algarve. 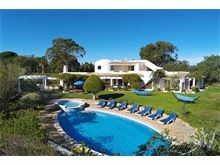 This rural setting in an area known as Vale d’el Rei offers the best of all worlds with rural tranquillity yet being just a couple of kilometres from one of the most stunning beaches on the coast, Praia da Marinha, often cited as one of the top 10 beaches in Europe with its stunning rock formations emblematic of the Algarve’s beautiful coastline. Equidistant between Carvoeiro and Porches, Villa Elise is just a few minutes drive from all the shops bars and restaurants, the local pottery shops, aqua parks and a whole host of beautiful beaches, so the area really does have something for everyone. 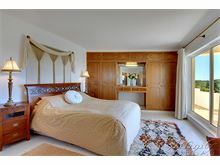 The house itself is tastefully decorated with a Moorish style and offers plenty of space up to 10 people, with 4 en suite bedrooms and a further bedroom adjacent to the master suite suitable for up to 2 children. 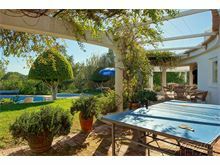 The mature grounds have views across the valley and the large pool with separate shallow section completes the picture with a good covered terrace and barbecue area. 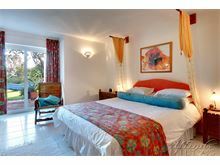 Approximately 4kms from the shops bars and restaurants in Carvoeiro, 3kms from the nearest beach and 5kms from Porches. Drive way leads to up to entrance. Front door leads to entrance hall with guest cloakroom. To the right is the dining area with ample facilities for 8 people, this leads through to the kitchen with breakfast table, dishwasher, gas cooker, microwave, coffee machine, and a separate utility area where you will find the fridge/freezer and washing machine. A door leads from here out to the covered terrace where there is a barbecue and dining facilities which overlook onto garden and swimming pool. 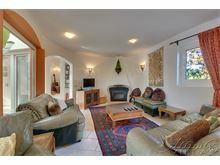 From the dining area down 1 step to the living area with central glass atrium, leather sofas, woodburning fire, flat screen TV, DVD player, and docking station. French windows open onto a covered terrace, overlooking the garden. From the Living area, head down the bedroom corridor where you find 2 twin bedrooms and 1 double bedroom, all have en suite shower rooms and all have French windows opening onto the garden and pool. Stairs from the entrance area lead to upper level to master double bedroom with an en suite bathroom with corner bath and separate shower. French windows open onto a covered terrace offering splendid country views. 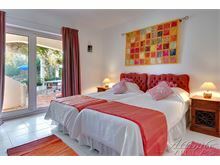 The 5th bedroom adjacent to the master bedroom is ideally suited for a child, it has a single ‘day style’ bed, with a further pull out single bed, French windows opening onto a the same master bedroom terrace which also has direct stairs down to the pool and gardens. Maid service 2 times per week. Pool heating and air conditioning are available at extra charge, if required. 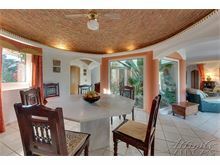 Excellent family villa, spacious indoor and outdoor areas. 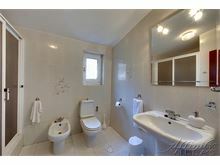 Air con and en-suites to all bedrooms. Plenty of room for our three cars. We all felt comfortable, a real home from home. Definitely recommend for families and friends. Beautiful villa in a lovely rural setting. Very comfortable and well furnished. Car hire is essential. We thoroughly enjoyed our stay at the Villa Elise. 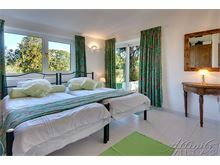 It was well situated, very well equipped and had excellent grounds and outdoor facilities. We paid for the pool to be heated and this worked very well. TV & broadband etc. all worked well. In brief, very good value despite some unsettled weather. 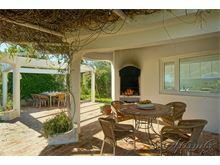 A lovely villa that is in a quiet, tranquil location and only a 10 minute drive to the centre of Carvoeiro. A spacious villa inside and out, perfect so that you feel close to everyone but also that there was enough space to be on your own. Brilliant size pool it is a lot bigger than the pictures make out it to be, also great depth too slopping down to 3 meters. Perfect kids pool for toddlers, being only 0.5 meters deep. Ample space on grass to kick a ball around too. 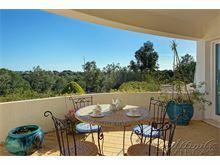 A perfect villa and I'm glad we chose Villa Elise and would go return again. 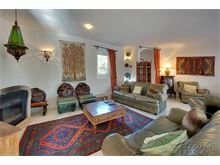 Beautiful spacious villa, in quiet location. 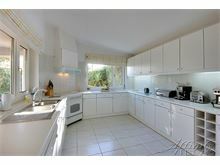 Only a short drive from all local amenities, beaches and attractions. Would love to stay here again!!! Very enjoyable family holiday at Villa Elise; great pool area and great location. Lovely villa with lovely weather. Will use again. Wonderful location and the villa was special. 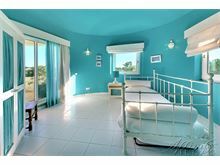 We thought it was a very comfortable villa for our family which consisted of two early middle aged couples, three ten year olds and an eighty year old. The children loved the pool and the table tennis was popular with all. It was lovely using the two dining ares outside, each suitable for eight people. 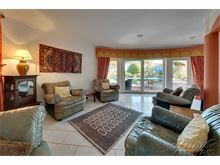 This is an excellent villa for a family holiday. 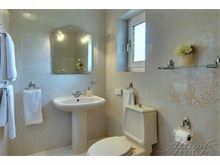 It is comfortable, clean, it's also in a great location about a mile from the sea. Great villa. Car essential. Grounds and pool superb. Kitchen everything you could wish for. 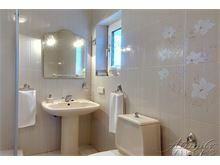 Bedrooms/ bathrooms clean and comfortable. Would go again. We had a wonderful holiday at Villa Elise. The villa was superb and stocked with everything we needed. Plenty of space inside and outside. We had 2 toddlers and the little pool was perfect for them, as was the upstairs kids room. They loved their holiday house. Just wish we could have stayed longer. Perfect weather, perfect holiday.